Dating in San Francisco can leave you spoilt for choice as there is a seemingly endless choice of great venues to select from. So much so, that when deciding where to take that new date you just met through Zoosk, your biggest problem might be deciding on where to go. So to help you make up your mind, here is a guide to twelve of the most original San Francisco date ideas. Comprising 1,017 acres of gardens, walking paths, lakes, recreation fields, and even a Japanese tea garden, Golden Gate Park is the perfect place for a romantic picnic. 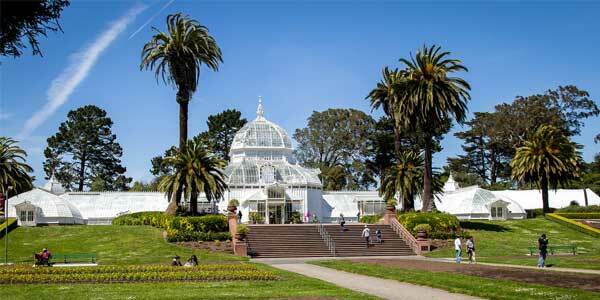 If your partner loves nature and botanics, they’ll enjoy the 1878 Conservatory of Flowers - the oldest Victorian glass greenhouse in the Western Hemisphere. Or take a walk down to the western edge of the park where it meets the Pacific for some spectacular ocean views. 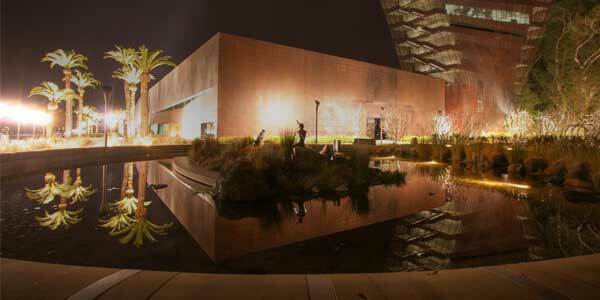 If your date has a taste for culture, they’ll appreciate the M.H de Young Museum which is considered to be the foremost museum in the western U.S. focusing on American art. With a collection that includes 27,000 paintings, sculptures, objects, crafts and textiles dating from the 17th to 20th centuries, it’s sure to get the conversation flowing between you. Don’t miss the observation tower with commanding views over the park. Then relax in the museum café with cappuccinos while you compare notes on your favorite exhibits. 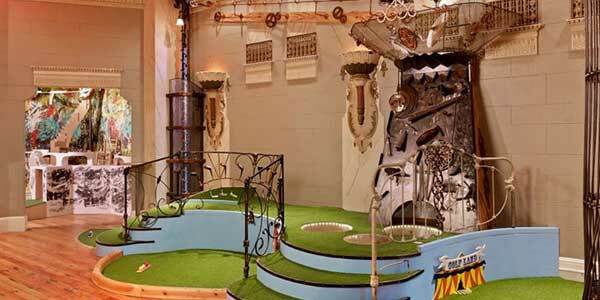 For a date with a difference head to Urban Putt: a high-tech indoor 14 hole miniature golf course with a cool steampunk design. Then afterwards, enjoy their delicious food and drinks menu. 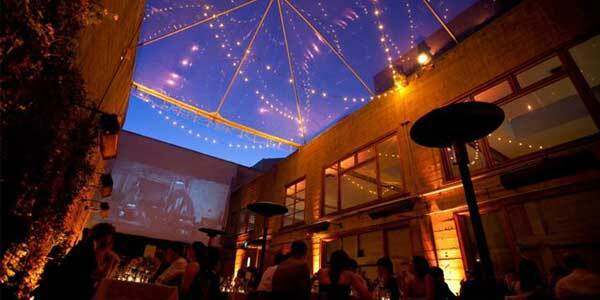 It’s not hard to see why this cool concept venue is popular with San Francisco singles. You’re almost guaranteed a fun night out at the Church of 8 Wheels. 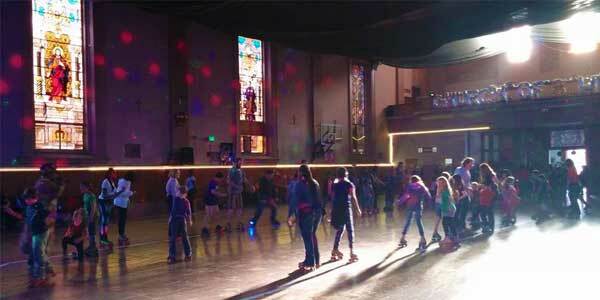 This former Catholic church has been converted into a modern-day roller disco. It’s a real ‘only in San Francisco’ experience; and a great place to bond with that gorgeous new date you just met through Elite Singles. Experience an evening of European culture with your date without ever leaving San Francisco at Foreign Cinema. This chic restaurant is famed for its exceptional Mediterranean style food. In addition to that, there is an open-air courtyard where you can watch classic foreign films that are screened against the back wall. 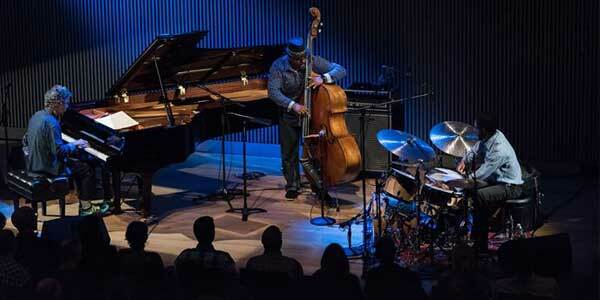 For a hot date, why not listen to some cool jazz at the SFJazz Centre? The jazz hub is the first standalone venue in the US built with the musical genre in mind and also features a rustic Mexican restaurant. 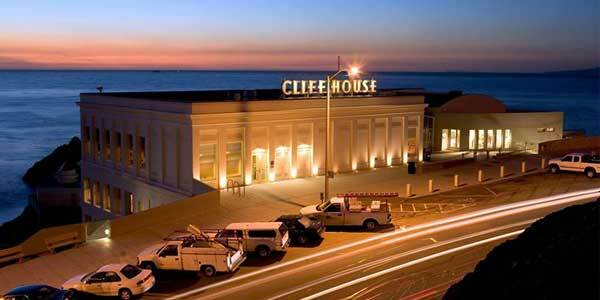 For a San Francisco date that blends history with style, take a trip out to Cliff House. Located at the westernmost point of Lands End, you can hike the stunning, Lands End trails. 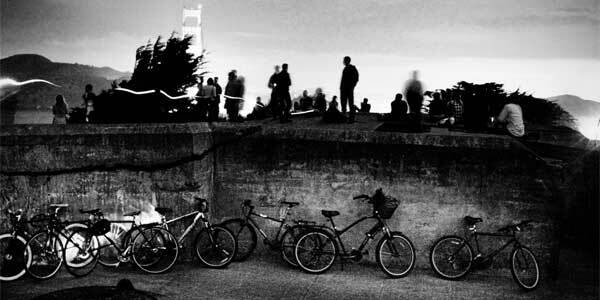 (Considered one of the romantic settings in San Francisco, it might just take your relationship to a whole new level.) Get a close up view of Seal Rocks through the whimsical 19th Century Camera Obscura. Then enjoy a breathtaking sunset while dining at the elegant Sutro’s. There’s always something so picturesque and dreamy about boating. 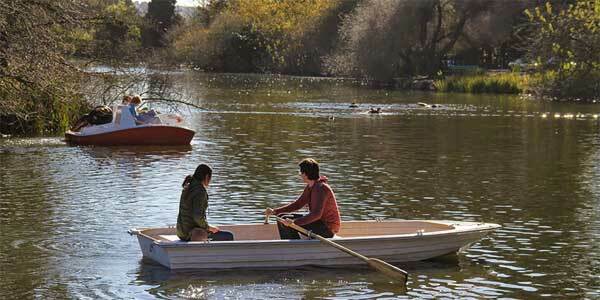 So what could be nicer on a beautiful sunny day than taking your date out on a boat on Stow Lake? You’ll feel like the romantic leads in your own movie. Want a date with an adrenaline rush? 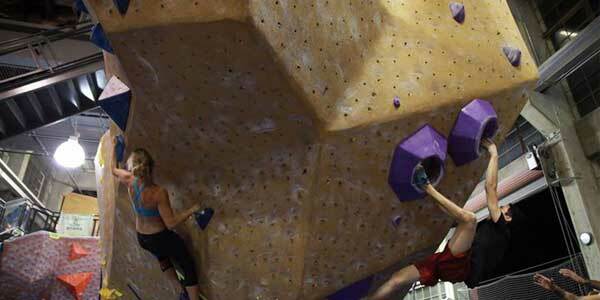 Then why not try out some indoor rock climbing together at Planet Granite? The adventure is sure to get your hearts racing and will give you something to bond over. Going bike riding together can be fun. But going on a bike ride together at midnight to a mystery location takes this date to a whole new level. That’s where Midnight Mystery Ride comes in! Plus, when you reach your secret destination there’s an after-hours party to enjoy. Could dating in San Francisco get any cooler than this? 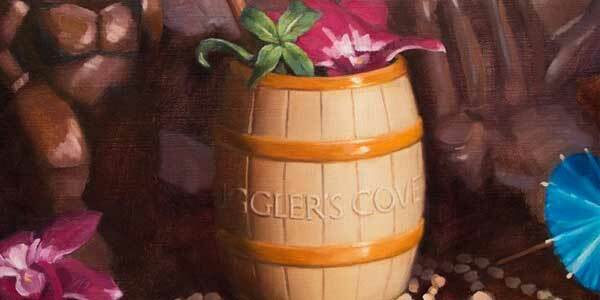 If you want to chill out over some cocktails and conversation together, then spend an evening at Smuggler’s Cove. Specializing in rum and traditional drinks from the Caribbean, this is a cocktail bar with a difference. The interior looks so much like a movie set that you almost expect Captain Jack Sparrow to walk in at any moment. 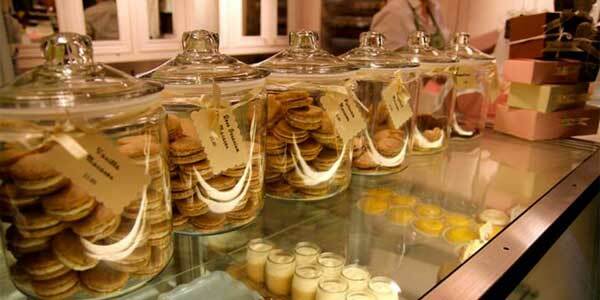 Instead going to yet another restaurant, take your foodie loving partner on a Gourmet Walk in San Francisco. Choose from options like a gourmet chocolate tour, sampling mouth-watering cuisine on Russian Hill, or a culinary walking tour in Napa. There are so many different food tours on offer, that you could turn this into a whole series of dates. Now you know all the best places to go on a date in San Francisco. But if you’re still looking for someone to take with you, then check Match.com today to find your ideal partner.